Masselene is the loudest and craziest girl here and we love her! 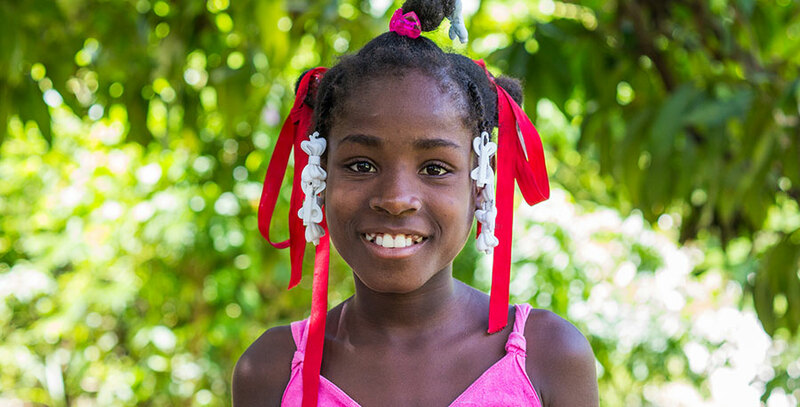 She lives here in Fond Blanc with two of her older sisters, Jasmine and Massenda. Their mother died in 2013. Their father lives in Les Cayes with their little brother. She also has two sisters who were adopted and now live in the US. Massalene knows everything going on here at the orphanage and can tell you everything you’d like to know about anyone. She says funny things all the time and then when asked what she was talking about, she just laughs hysterically! Massalene loves to jump rope and play hopscotch. She also loves singing and dancing. She keeps herself busy by running around with the other girls. She loves church and learning about Jesus; her favorite activity is to pray and talk to Jesus. When she grows up, she would like to be a doctor.